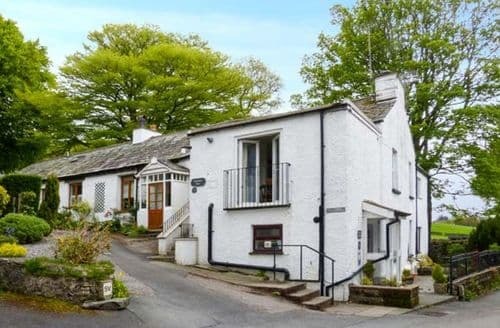 In the south of the Lake District, not far from the banks of Windermere, you’ll find the quiet village of Staveley-in-Cartmel. 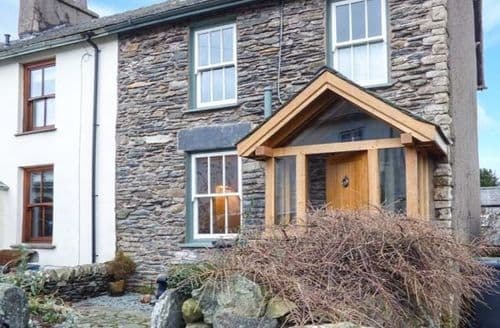 The Lake District is one of the UK’s most loved National Parks and this village is a lovely spot for a cottage holiday. The village itself is small and offers a break with a slower pace of life. 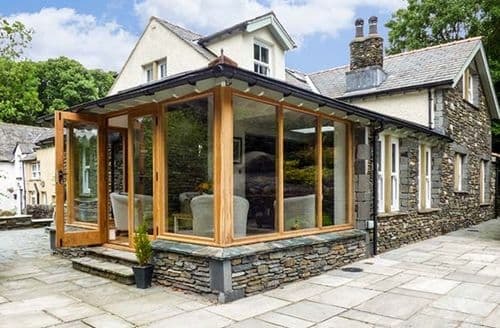 If you need a getaway to unwind, Staveley-in-Cartmel might just be the place to go. From here you can enjoy numerous Lake District walks. Lakeside strolls offer gentle scenic routes or tackle one of the local fells for more of a challenging day out. The nearby waters of Windermere offer a range of watersports to enjoy, or you can relax on a lake cruise. 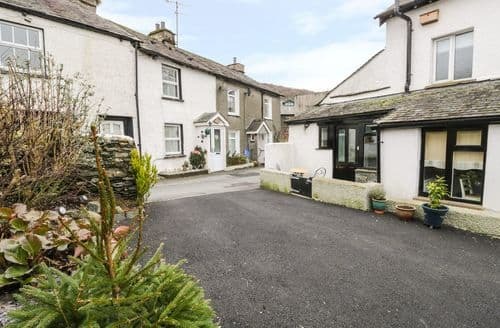 What our customers are saying about our Holiday Cottages In Staveley In Cartmel To Rent. "Stayed for one week in June to celebrate a birthday with family. The cottage is absolutely beautiful, full of character and is perfect for families or groups wanting to spend time together. 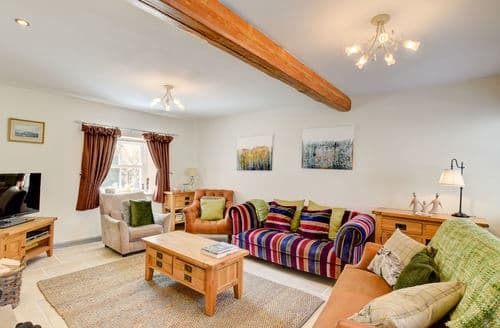 There is ample entertaining space, a large fully fitted kitchen (including an Aga & traditional oven), complete with everything you might need, even down to salt, pepper, tea bags, fairy etc. There is a downstairs toilet, a boot room for shoes/storage, a utility room with washing machine, sink and iron/ironing board, clothes horse – everything you could need! On the ground floor is a double en-suite room with walk in shower. Upstairs there is a beautifully decorated spacious twin room, which has a daybed (and another mattress) and an en-suite with a large walk in shower. Also upstairs is a spacious double room and the main bathroom, which is a little small (as is the shower cubicle) - but you are in a cottage after all. Above the double garage in the garden is the fourth bedroom with en-suite and a large living room with TV and kitchen area (think the sofa might also turn into a sofabed but not sure). This is great if you want peace and quiet away from the main house or for older kids. There is plenty of wardrobe spaces and hangers. 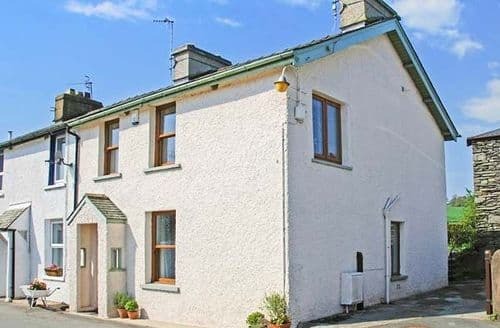 The cottage is at the end of a terrace, and unlike the other cottages, has ample private parking and room to the side and back for entertaining. 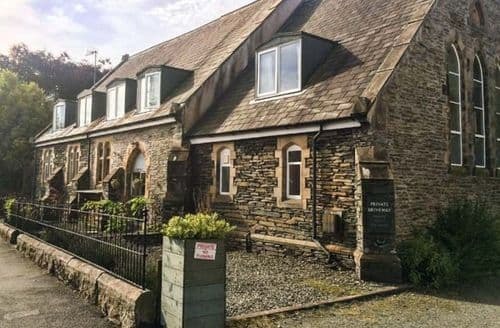 It’s a 10 – 15 minute walk to Lakeside Hotel and about a 25 minute walk to the Swan Inn at Newby Bridge and is a great base for exploring the lakes. We were lucky enough to have a full week of sunny weather and often enjoyed breakfast in the garden. A lot of work has gone into maintaining this cottage. Absolutely recommend. Note that there is very limited phone signal in the area...but of course the cottage has wifi, so you're still connected :-)"
"Although we didn't use it, the piano was an unexpected extra. We were very grateful for the reclining chairs after our days out walking. The house had a good selection of information about local walks which were easy to follow and our dog loved. We had a great week with excellent weather and would love to return another year. Staveley is a gem of a village. There is a community shop and artisan bakery close by and a Spar and very good post office a stone's throw from the house. The people in the PO were very helpful too. Hawkshead Brewery and Wilf's cafe are close by and well worth a visit. There were also a couple more coffee shops that we intended to try but sadly didn't have time. A nice butcher's, a yummy fish and chip shop, the Eagle and Child pub (also well worth a visit) and a very handy recycling centre complete the amenities. The train station was handy for a day trip to Windermere to follow in Wainwright's footsteps up to Orrest Head and the spectacular views." "We celebrated my Dad's 60th Birthday at this beautiful cottage...and what a fab time we all had! Firstly the cottage is lovely! Great layout and felt like home from home! So cute and quaint yet modern! The garden was lovely also - just wish we could have sat out ( weather wasn't fantastic) because there was ample room to chill and sip wine in the garden! Beds were comfy, plenty of parking, great little docking station for our 'party' and the wifi was great bonus too! We were unsure of things to do and was worried we would be too far away from things going on but just a 10 min walk got us to the train station and boat station so we spent one day at Bowness and one day at Haverthwaite station (and one day relaxing in the Lakeside pub - pricey but good) I would defo recommend booking to friends and family - such a great place to stay for time in the Lakes! Thanks"
"..and what a fab time we all had! Firstly the cottage is lovely! Great layout and felt like home from home! So cute and quaint yet modern! The garden was lovely also - just wish we could have sat out ( weather wasn't fantastic) because there was ample room to chill and sip wine in the garden! Beds were comfy, plenty of parking, great little docking station for our 'party' and the wifi was great bonus too! We were unsure of things to do and was worried we would be too far away from things going on but just a 10 min walk got us to the train station and boat station so we spent one day at Bowness and one day at Haverthwaite station (and one day relaxing in the Lakeside pub - pricey but good) I would defo recommend booking to friends and family - such a great place to stay for time in the Lakes! Thanks"
"It was very clean and tidy, and had lovely bed linen, towels etc. 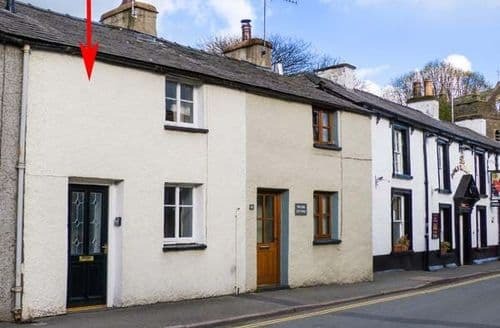 The location is great; the village is very accessible, is very handy for hiking (from the doorstep if you want) and the house is right in the middle of the village. 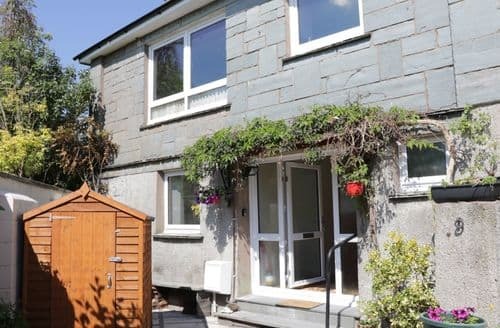 Very near to a Spar, pharmacy, several coffee shops, a bakery and the popular Hawkshead Brewery. The Eagle Inn pub within close walking distance can also be highly recommended - we had one good dinner and an exceptionally good Sunday lunch there. The house had a "Nest" heating system, which responded quickly to any adjustments, but while upstairs got very warm and cosy, the ground floor (which had 2 of the 3 bedrooms) was rather cold. This was the only problem we had though, and I was very happy with my booking, in spite of this."